with his foremost disciple, Saswati Sen, his son, Deepak Maharaj, and the rising star, Mahua Shankar. 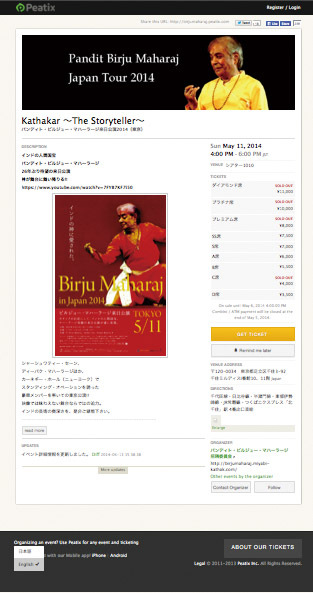 The troop will perform in Tokyo on 11th May and Osaka, 17th May. Osaka: 16:30 Saturday, 17th May, 2014 at Creo Osaka East. Kitasenju Station, directly connected from the west entrance No.4 exit.